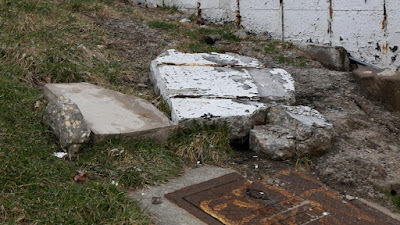 "A big chunk of concrete lies on the ground where it fell off from the top of the bridge at Wilson Avenue and Lake Shore Drive in Chicago on March 2, 2017. 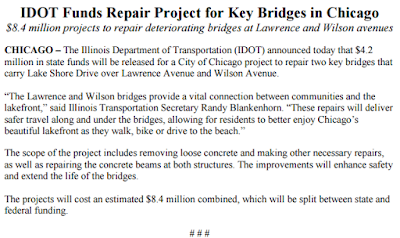 (Tribune photo/Nancy Stone)"
After more than nine years of posting articles detailing the dangerous conditions under the Wilson and Lawrence overpasses at Lake Shore Drive, we couldn't be happier to have this press release from the Illinois Department of Transportation hit our in-box. The City says it is ready -- but was concerned that the State wouldn't uphold its part of the bargain. Thank you to everyone who worked to make this happen. Let's hope nothing happens between now and the beginning of construction to cause any harm to anyone under those extremely hazardous underpasses. "Repairs"? I thought these two bridges were to be replaced? There's a brand new suspension bridge over South Lake Shore Dr.that cost millions, yet North Lake Shore Dr. negligence only gives way to a cheap patch job for the collapsing bridges that are in an emergency state??? 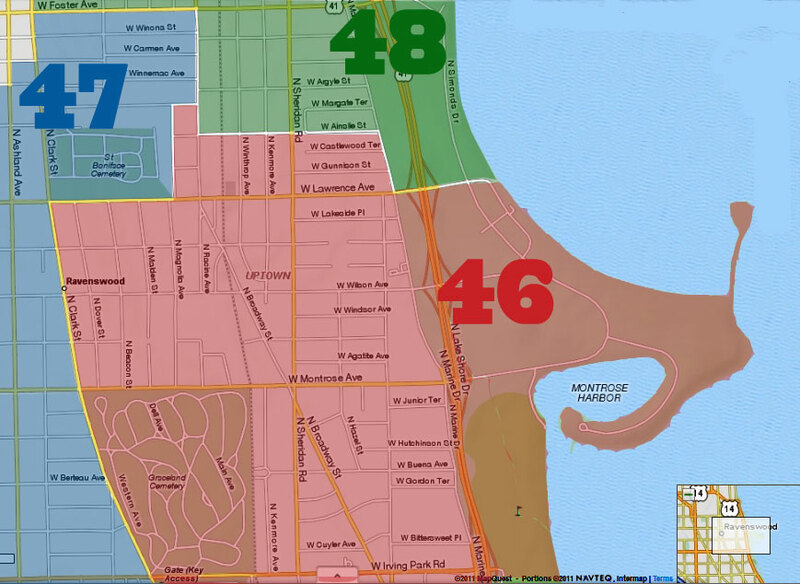 People need to remember this at the polls come the next election day. 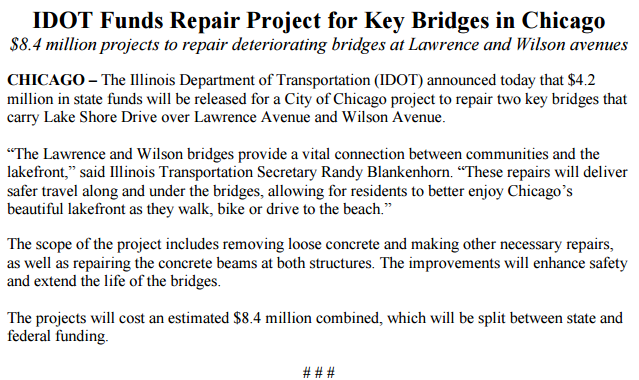 Lake Shore Drive between Grand and Hollywood will be completely redone sometime in the next decade by IDOT and CDOT. 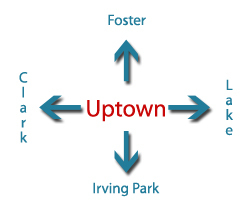 (You can Google "Redefine The Drive.") It makes sense to make the bridges safe until that point with an eight and a half million dollar "patch job," but spending millions more to rebuild is wasteful since they will be redone relatively soon. Feel free to contact CDOT or IDOT with your concerns.